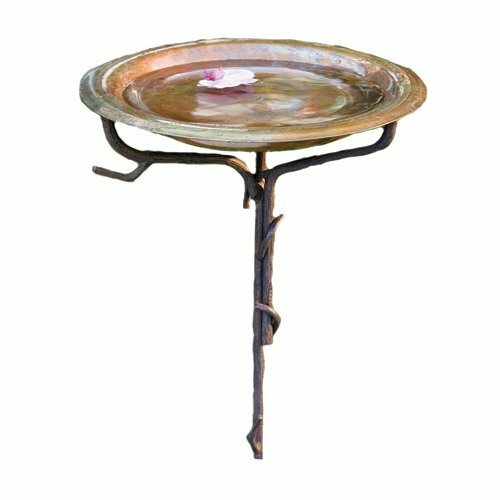 Beautiful solid copper bird bath with iron twig stake stand. Handcrafted by Ancient Graffiti from recycled metal and built to last. 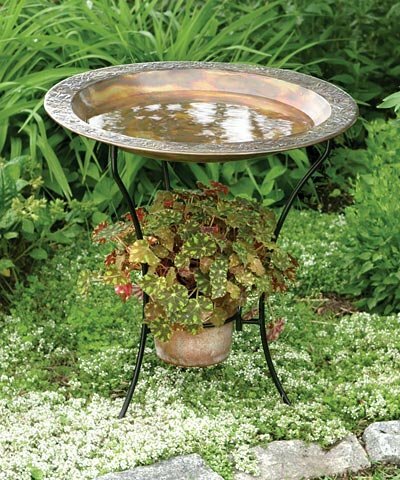 Copper plated steel bird bath with elegant scrolled flowering vine embossed rim. 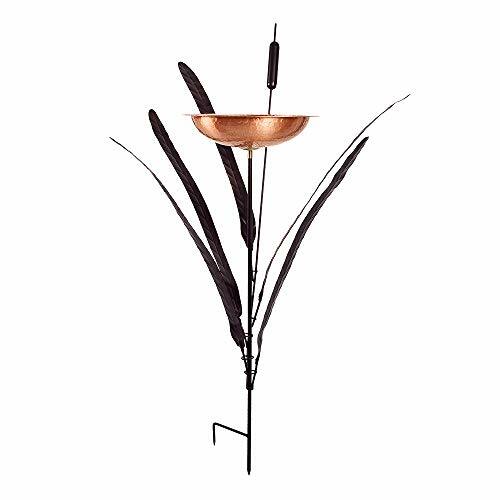 Includes stand, basin and hardware. Size: 22W x 2D x 22H in.